Ukrainian military foreign trade company Ukrspetzeksport, part of the UkrOboronProm (UOP) state defense industry concern, signed a contract with Turkey’s Baykar Makina to deliver Bayraktar TB2 Block B medium-altitude long-endurance (MALE) tactical UAV/UCAV systems, UOP announced on January 12. According to media sources, two systems will be supplied, each with six air vehicles, two truck-mounted (NATO-specification) ground control stations accommodating three personnel, three ground data terminals, two remote video terminals, and ground support equipment. Each aircraft is equipped with a triple-redundant avionics system. The deal is worth $69 million. The first system is expected to be delivered later this year. The framework of the deal was established during the state visit to Ukraine of the Turkish president, Recep Tayyip Erdoğan, in late 2017. The current deal also involves delivery of missiles to be mounted on the combat version of the UAV. The training of operators and technical staff, as well as a warranty for several years, is part of the agreement. 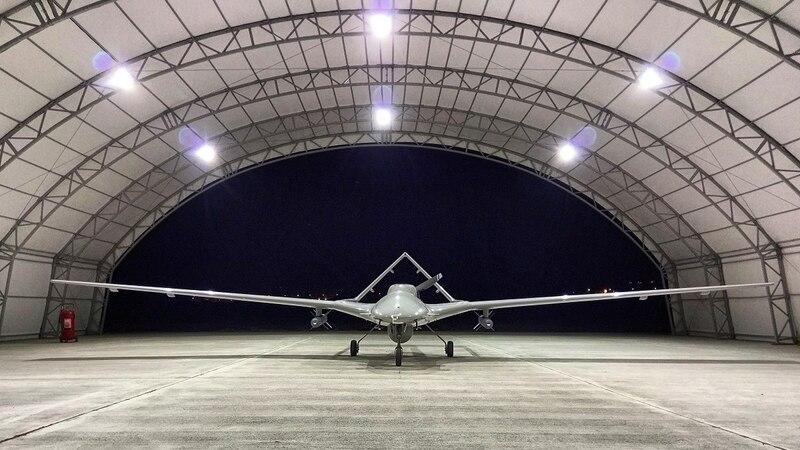 The Bayraktar TB2—widely used by the Turkish Armed Forces, including over Syria—is capable of loitering for 24 hours, due to its lightweight, composite structure. With a payload of approximately 120 pounds (55 kg), the Bayraktyar TB2 can carry only light weapons. It has been tested with the Roketsan UMTAS laser-guided missile and is also compatible with the same company’s MAM-L laser-guided glide weapon. It is believed that technicians have studied the option of integrating the Ukraine-developed OPSN-I multi-sensor system (diameter 17 inch/43 cm) onto the Bayraktar TB2. OPSN-I was considered one of the five most important defense-related systems, developed and manufactured by a UOP company (Izyum Instrument-Making Plant) in 2018. At the same time, Ivchenko-Progress (also part of UOP), a Ukrainian defense industry company specializing in aircraft engine development under the guidance of UOP, is working on establishing a joint Ukrainian-Turkish enterprise for the production of components for the Turkish UCAVs, in particular engines and avionics, UOP said on January 12. Ivchenko-Progress is the key Ukrainian partner in the ongoing project with Turkey to jointly develop and produce the An-188 medium military transport aircraft in at least three versions, UOP stressed in its January announcement. The An-188-100 (a derivative of the An-70) will have D-436-148FM turbofan engines developed by Ivchenko-Progress. The An-188-110 is scheduled to get four Ivchenko-Progress AI-28 engines. The third variant, the An-188-120 is to be equipped with four CFM International Leap high-bypass turbofan engines.